Bioidentical hormones are exactly the same molecule as those produced in our own bodies. Most standard hormones are chemically different than the hormones made by our bodies. Progesterone is a hormone that is also converted to other hormones in our bodies. So, when we take the bioidentical form, we are not only replacing progesterone, but also the other hormones that are made with progesterone. Standard, synthetic progesterone cannot be converted into other hormones in our bodies. 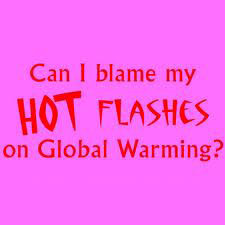 As early as the late 1990’s, I saw patients who used natural progesterone cream for menopausal symptoms. At that time, most doctors had no knowledge about the difference between standard hormone therapy and bioidentical hormones. When I spoke with one expert in the field, he told me that “in order to absorb enough progesterone through the skin, you would have to wear a progesterone patch the size of a vest”. I knew this could not be correct as my patients were having real benefit from the progesterone creams they were using. I set out to perform a study to determine how much natural progesterone is absorbed from the creams. At Bassett Hospital, a Columbia University Hospital, where I did my residency, I worked with two clinical pharmacologists, Joe Bertino, PhD and Ann Nafsiger, MD. They helped me develop a protocol to compare the FDA approved oral natural progesterone, Prometrium to over the counter progesterone cream. The results were surprising to many (but not to me): 40 mg of progesterone cream twice a day gives same blood value of progesterone as 200 mg per day of Prometrium! Because we already know that prometrium is effective against endometrial cancer, we can say that progesterone cream is equally effective at this. The cream provides additional benefit because it does not yield as many by-products as the oral form. Now, research is leaning towards bioidentical progesterone as being less likely to cause breast cancer than synthetic progesterone. All progesterone use should be used under medical supervision. 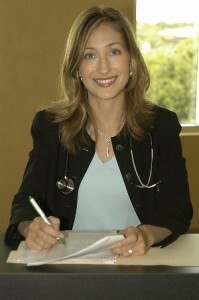 For more blogs on bioidentical hormones, check out http://www.doctorhermann.com/blog/?Tag=Bioidentical+Hormone+Therapy. To schedule your consult with Dr. Anne Hermann, call (813) 902-9559.